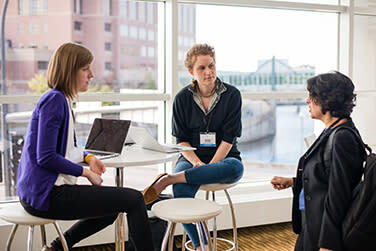 Rochester, MN was recently chosen by "Successful Meetings" magazine as a top-five destination for medical meetings and conventions, and the honor is well-deserved. Home to the world-famous Mayo Clinic, brand-new convention facilities, and Discovery Square, a thriving medical innovation hub currently under development, Minnesota’s Rochester offers conference attendees an exceptional experience in a vibrant community renowned for its culture of caring and spirit of innovation. Mayo Clinic’s Jacob Malwitz, Media Business Operations, says that Mayo Clinic’s commitment to enriching medical conferences held in Rochester is an extension of a philosophy that dates back to the founding of the Clinic. “Dr. W.W. Mayo and his sons, Drs. William J. Mayo and Charles H. Mayo, built Mayo Clinic on the principles of patient care, research, and education, and on sharing their vast knowledge and expertise in these areas with clinicians, researchers, and organizations from all over the country and world,” Malwitz says. Multidisciplinary Simulation Center, which offers simulated experiential learning via virtual reality training and high-fidelity scenarios incorporating patient manikins, trained medical actors and a range of specialized medical simulation equipment. 2. Expert Panelists & Moderators. 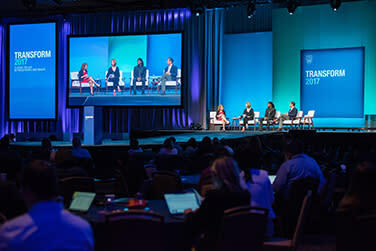 Mayo Clinic research experts are available to serve as conference panel members or panel moderators on a wide range of cutting-edge research topics related to best practices in conduct of clinical research, regenerative medicine, research compliance, and human subjects protection, among other topics. 3. Sought-After Speakers. In addition, Mayo Clinic is also able to supply medical conventions with guest speakers on general-interest healthcare topics like how to avoid professional burnout in the healthcare professions as well as more specialized topics relevant to a variety of healthcare disciplines. 4. Transformative individual and group experiences. Groups of attendees or individuals can take advantage of the Mayo Clinic Healthy Living program while in town. Offerings include a free 20-minute personal wellness consult, a tranquil visit to the Rejuvenate Spa, or enrollment in either the half-day Wellness Essentials Experience or Enhanced Physical Activity Assessment. Meeting planners can inquire about group retreats at the Mayo Clinic Healthy Living program, where experiential wellness sessions and activities led by Mayo Clinic experts will be woven into your business or conference agenda for a uniquely memorable experience. The transformation of Minnesota’s Rochester into a top destination for large medical meetings and healthcare summits has also been facilitated by the convention center expansion to the City of Rochester’s Mayo Civic Center completed in early 2017. This expansion doubled the facility’s capacity for hosting events; more than 200,000 square feet of flexible meeting and exhibit space is now available. In addition, the convention center is located in the heart of the city, offering visitors easy access—via skyway connections—to more than 2,200 hotel rooms, stylish restaurants, and unique shopping in the city’s newly-revitalized downtown. Hear from Mayo Clinic&apos;s Jacob Malwitz.